Newport Beach City Council approves the Harbor Commission’s goals for 2017. 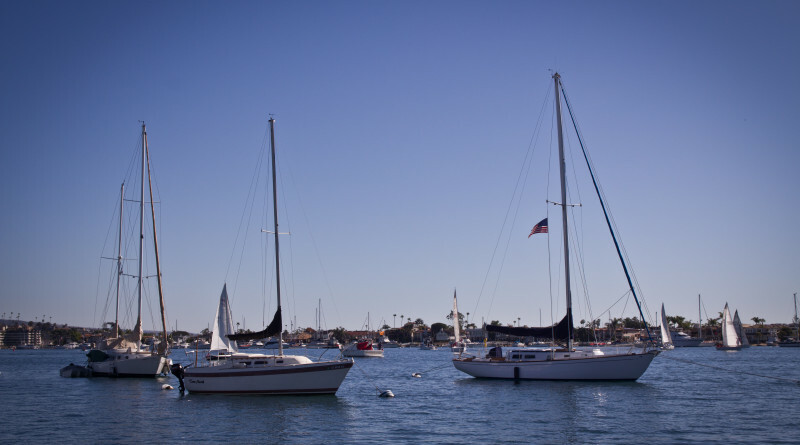 NEWPORT BEACH — A plan to draw more visitors to Newport Harbor and promote its long-term welfare was approved Jan. 24 by the Newport Beach City Council. The Newport Beach Harbor Commission’s objectives, which are considered and approved by the City Council annually, will move forward as planned for 2017. City Council’s approval of the objectives, according to one former commissioner, indicates the Harbor Commission’s has “turned the tide” in actively promoting boating issues. Commission Chair Paul Blank told council members the Harbor Commission’s objectives are to focus on two main goals during the next 12 months: ensuring the long-term welfare of the harbor for all users and promoting the marina as a preferred and welcoming destination for visitors and residents. The commission plans to support the two goals by executing eight different objectives. Each objective would be the focus of a subcommittee. Subcommittees would specifically focus on personal watercraft safety, code amendments for sailing events, best practices for charter fleet operations, conduct public outreach for eelgrass permitting, removing derelict vessels, whether to continue allowing a seasonal anchorage at the Turning Basin and day moorings at Big Corona Beach. The subcommittees would also vet opportunities for a new public boat launch ramp and publish the harbor’s cruising guide online (see sidebar). Blank told council members other objectives were considered but the commission is sticking to eight. The reason for this is to make real progress on these eight areas of focus and not spread the Harbor Commission’s efforts too thin, according to Blank. The Harbor Commission also hopes to adapt to other responsibilities assigned to the advisory board as they arise. “We expect to handle other areas as they come along, such as the decision you made on the Jan. 11 meeting dismantling the Tidelands Committee and handing the responsibilities to us,” Blank told council members. The City Council was supportive of the Harbor Commission’s annual set of resolutions. City Council member Diane Dixon said the Harbor Commission was ahead of Newport Beach’s other advisory boards in keeping the city’s elected officials up-to-date on its activities. “Not all commissions do it, but I certainly appreciate how the Harbor Commission articulates its goals for the coming years and reports back to us on the completion of those goals,” Dixon said. Dixon added the commission’s harbor tour, which was held for the second time in December 2016, was time well spent and well organized. Commissioners outlined their objectives for 2017 while aboard a ferry cruising the harbor. Council member (and former commissioner) Brad Avery said the Harbor Commission has helped raise awareness of Newport Harbor. Currently the seven-member board has six Newport Harbor Commissioners. The City Council is reviewing 13 applications, “which may be a record,” according to Avery. Dixon, Mayor Kevin Muldoon and Council member Will O’Neill will review candidates. A successor will be selected and announced in late February or early March. There might be another vacancy to fill on the Harbor Commission as well.